Realty Empire a South Florida Real Estate Brokerage Firm of choice, our team offers our clients the professional service they deserve. It is our goal to provide both buyers and sellers with the utmost level of professional services and personal attention as we, understand how significant an impact any decision about real estate can have on your life. Whether you are selling, buying or renting your Miami home, you need a partner who will not only focus on your present needs but also your future success and satisfaction. In today’s real estate market, there is simply no substitute for first-class Realtor services. Realty Empire team of associates are highly trained and have years of contract negotiations and sales experience in the Miami real estate market. We have been providing our clients the highest level of customer service for over 10 years. Personal attention is the foundation of our philosophy, and every client receives a tailored service that not only inspires trust and confidence, but also a successful and satisfying partnership. Realty Empire believes that you are our greatest asset and that is measured by the fact that well over 80% of our business comes from past clients and their friends, business associates and family members that they refer to us time and time again. We are proud members of the Florida Realtors Association, National Association of Realtors, Board of Miami Realtors, and we are Florida Housing.org Preferred Realtors. Realty Empire is a full service Real Estate and Property Management Company in South Florida committed to integrity, loyalty, creative marketing and exceeding customer expectations that sets us apart in the industry. Our goal is to be judged by our reliability, integrity, and exemplary service. 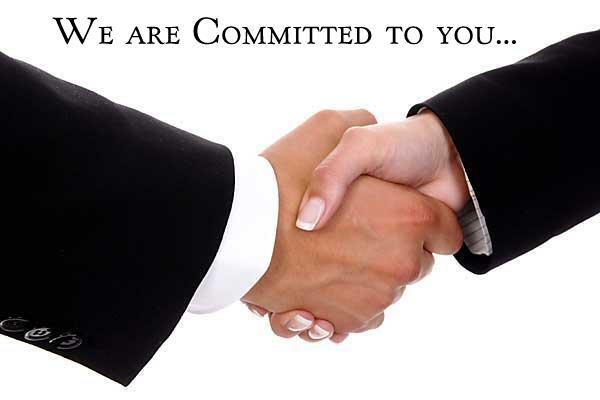 We pledge to provide the finest level of ethical and professional services. At Realty Empire we pride ourselves on our team approach philosophy. We understand in order to have a winning relationship with our agents, customers, and partners we must always have a mutual goal. We accomplish these goals by working together as a team. To Our Customers and Partners: We are dedicated to maximizing real estate asset value. We quickly adapt to the diversity of individual buyers/sellers, investors, markets and residents through sound leadership, an unparalleled industry expertise, and our unwavering commitment to our customers and partners. To Our Agents: We are dedicated to developing our real estate agents personally and professionally. We understand that by supporting our agents with a dynamic work environment, ongoing training, performance-based recognition, our business will continually succeed and thrive. We believe that by encouraging personal and professional growth, our agents will exceed their goals and expectations–with the benefits being realized by all. At Realty Empire, we are firm believers in your dreams and we take the time to help you achieve them by making Your Dreams, Our Goals. Whether you are looking for your First Home, Moving up, Downsizing, Retirement community, Vacation home, or just your own humble Palace, we are here for you every step of the way. From the beginning to end or even somewhere in the middle, you can count on Realty Empire to be your trusted real estate professionals for life.